There was a village watercolor society and they'd come and paint in my field. I watched them from the window, the way they would struggle this way and that to find the perfect moment. God has made every angle on that beautiful, and I felt that tremendously. Helambu Trekking is one of best trekking route to explore the beautiful landscapes, vegetation and authentic Tamang and Sherpa village along with the majestic view of Langtang range. 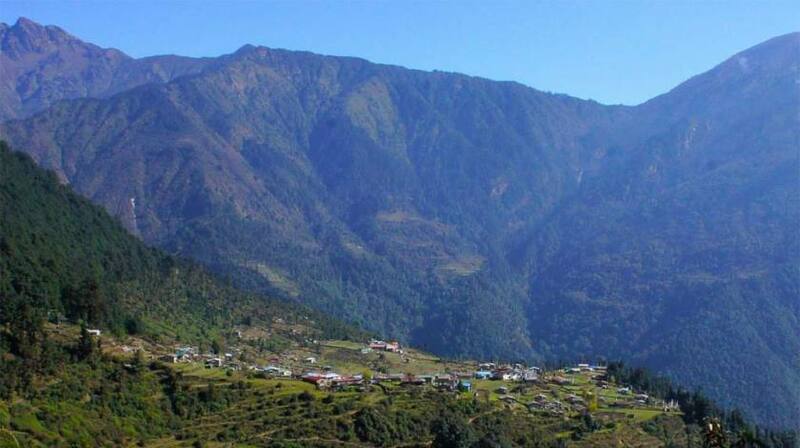 It is one of the short treks with a quick access from Kathmandu Valley, and best suited for beginners. Helambu Trek is relatively easy route as the maximum elevation reach up to 3650m and mostly renowned as cultural trek. Comparatively less popular than other trekking routes of Langtang region, Helambu region is a wonderful week adventure to understand the local lifestyle of the mountain people who are living in isolation for a long time and still practicing old living style. “Yolmo” tribe, similar to Sherpa people are found in this region along with Sherpa and Tamang settlements. 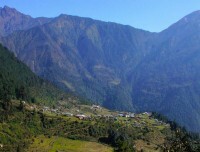 Helambu region is culturally rich and one of the intact regions of Nepal. The major attractions of the trip are the ancient Buddhist monasteries, typical Nepalese village and pleasant walk through lush dense rhododendron & oak forest along with a spectacular view of Langtang (7245m), Dorje Lakpa (6990m), Ganesh Himal (7405m), Yala Peak, Naya Kanga, Mt. Gangchenpo and Tibetan range. Trekking to Helambu begins with a swift one hour to Sundarijal and walk through the beautiful forest and small villages of Shivapuri National Park and then cross Chisapani to enter Langtang National Park. Most of the trails are jungle walk and lower passes offering a view of mountains. Throughout the trail, we pass through few interesting places like Thadepati viewpoint, beautiful Melamchi, and Tarkeghyang village gathering the experience of remote traveling and exploring the rich culture, ancient monasteries and people who aren’t connected with the modern world yet. We continue our trek to the nearest bus station of Sermanthang village and take a drive back to Kathmandu. This was amazing trekking. Milan is very helpful, friendly and amazing person. From the beginning he gave me so many details as possible. As i am beginner, everything was helpful for me - from details of trekking through payment until the last day of my trip in Kathmandu. My guider Om, is the same person as Milan. 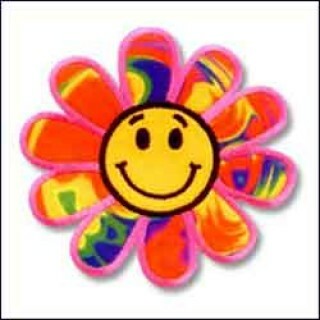 I was/ i am happy, that he was my guider. He is also patience person and really helpful and positive person. He pushed me to my limits with positive smile and mood. Really amazing experience in my life with these great people. I missed them and i loved them. Good luck guys :) !!!!! !